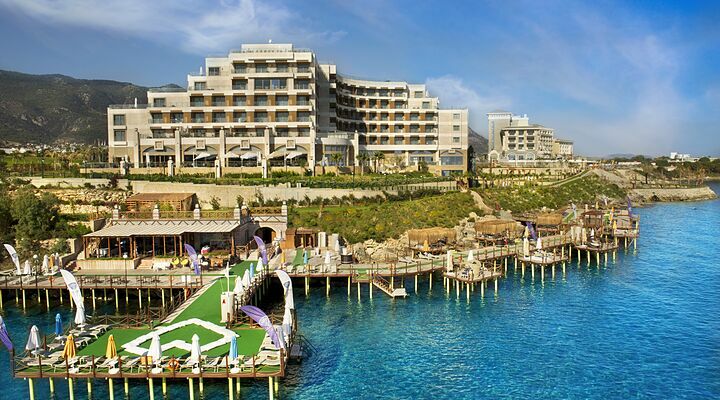 7 Nights from £1199 inc Flights, Hotel & VIP Transfers - £600 OFF! 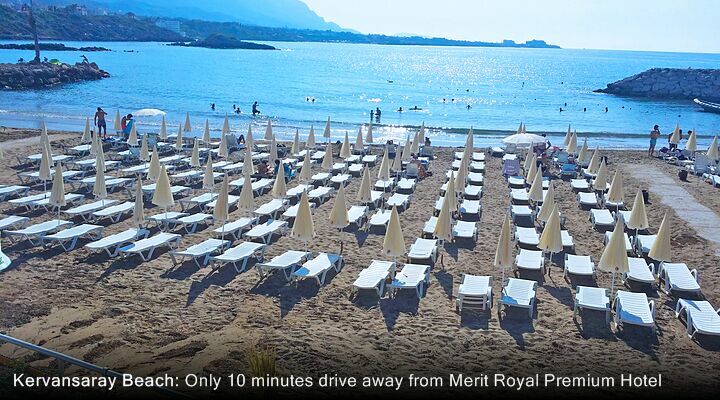 The Merit Royal Premium is the jewel in the merit hotel crown, a sumptuous five star hotel with a super-long swimming pool seafront lawns and private beach. 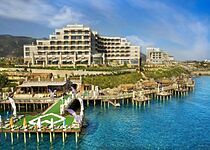 Big, bold and confident, with exceptional levels of service, this is 5 star luxury in North Cyprus at its most enjoyable. 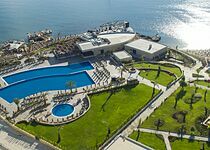 Positioned between the Five Finger Mountains and the deep blue Mediterranean Sea, every inch of the 5-star Merit Premium Hotel (Merit Royal Premium) makes the most of the wonderful sea views. 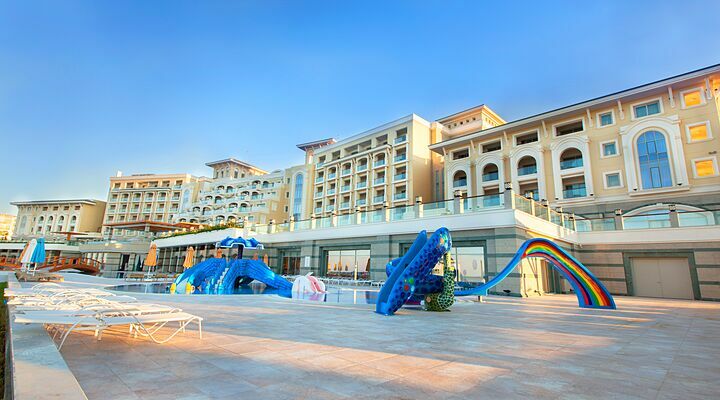 With extensive terraces, a range of luxurious rooms and excellent service, this is an ideal hotel for a luxury family holiday in North Cyprus. 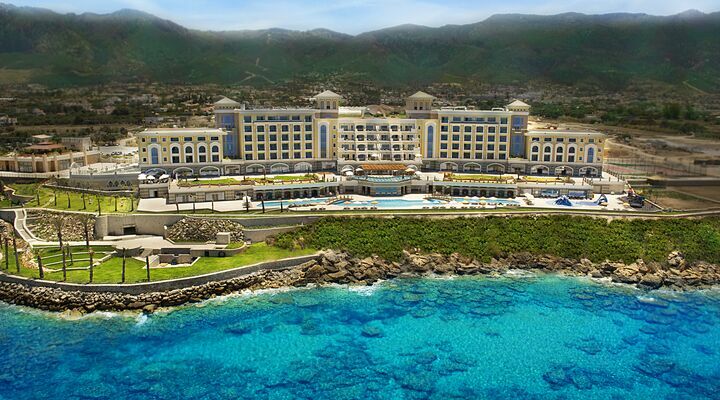 Sun lovers will adore the Merit Premium’s three terraces, designed for maximum sunshine and uninterrupted sea views. 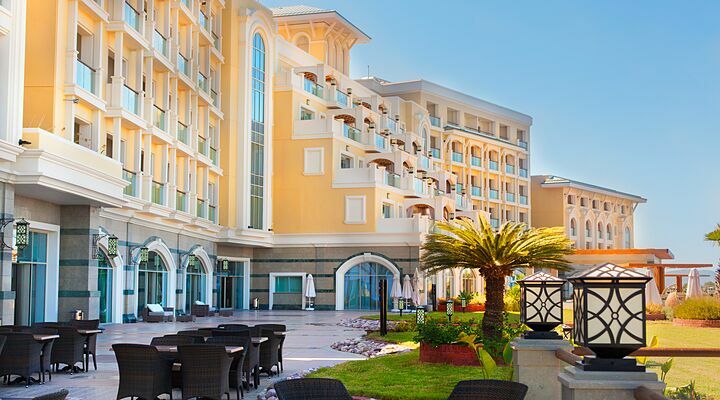 Relax on the hotel level terrace amongst green lawns, or stretch out by the pool that runs almost the entire length of the second terrace. 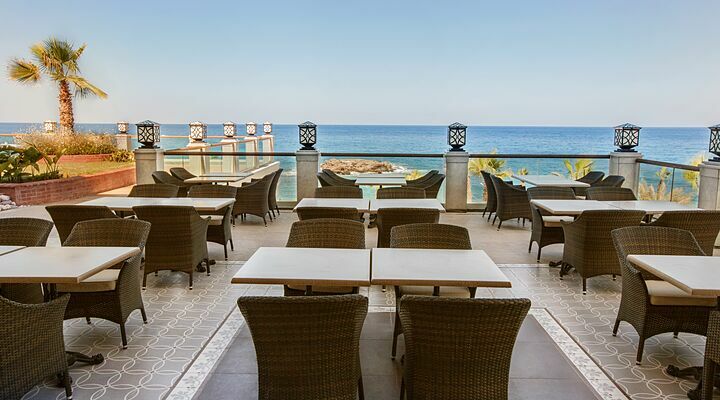 Chill out in cool sea breezes in the seafront garden area, or pop along the path to the sister hotel’s decking area and secluded sandy cove beyond. 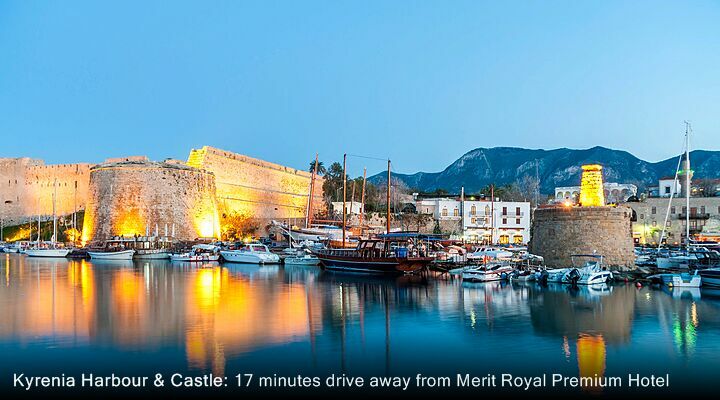 Want to know if the Merit Premium is right for your 5 star family holiday in North Cyprus? 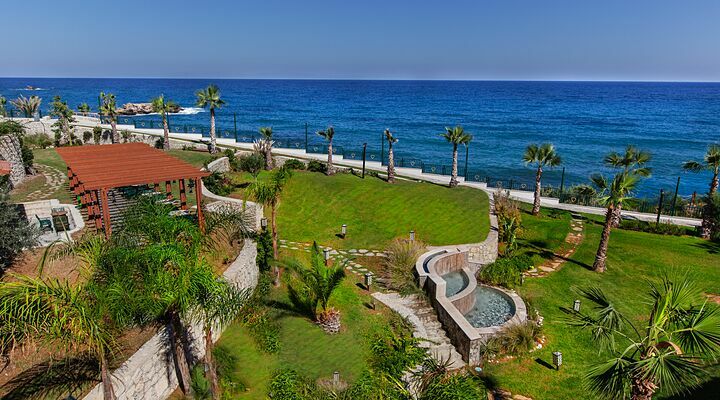 Call the team at Go North Cyprus and ask us any questions on 0800 612 6600 - we’re always happy to talk hotels! 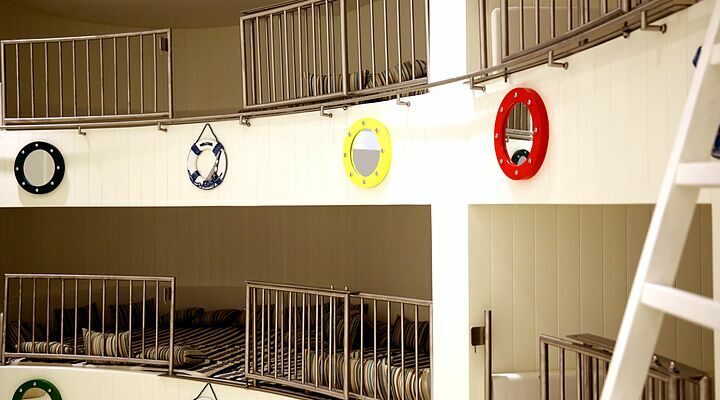 Sleep soundly in comfortable large beds, enjoy the mountain or sea views in the morning, or sink into a comfortable chair with a book. 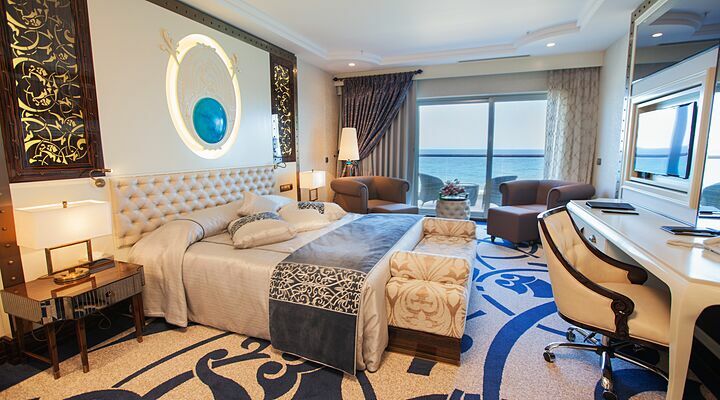 The bedrooms at this 5 star North Cyprus hotel are everything you'd expect, styled with clean-lined glamour and style from immaculate tiled bathrooms to elaborate head boards. 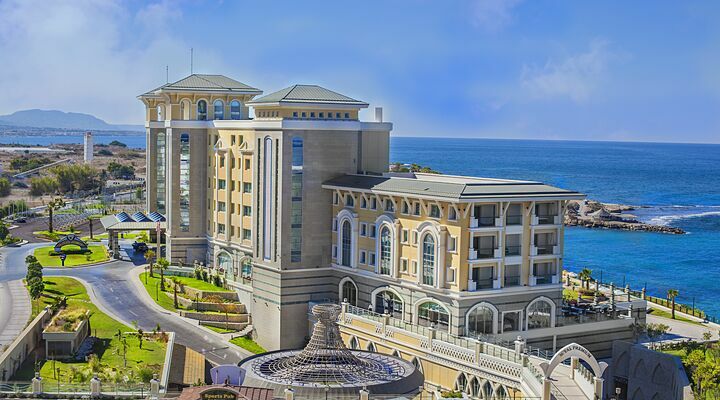 Stroll along the seafront to the Merit Royal Spa for massages, therapies, Turkish Baths and more. 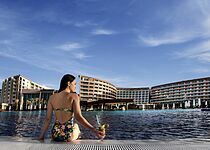 Choose from a range of relaxing treatments, enjoy the tranquility of the indoor pool, or keep your fitness levels with a workout in the Fitness Centre. 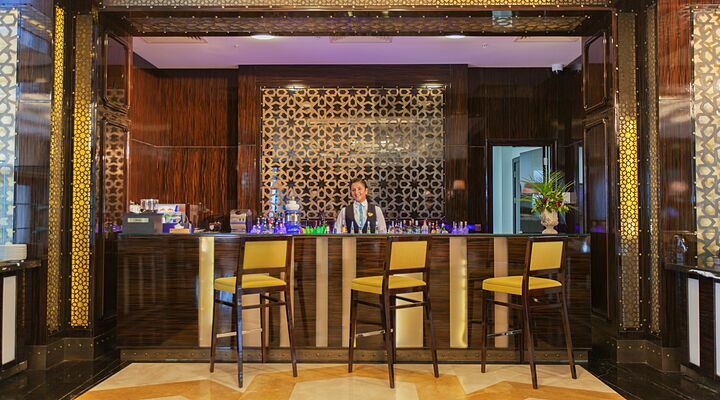 There’s also a selection of bars, including the Dionysos Wine House, Boardwalk bar, and a late night soup and sandwich service until 1.30am in the Lobby Bar. 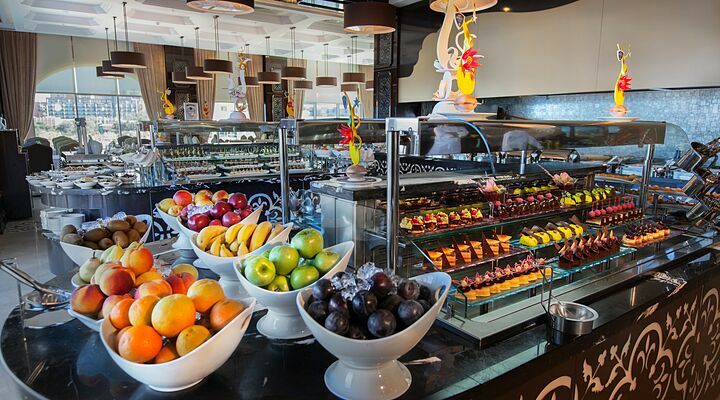 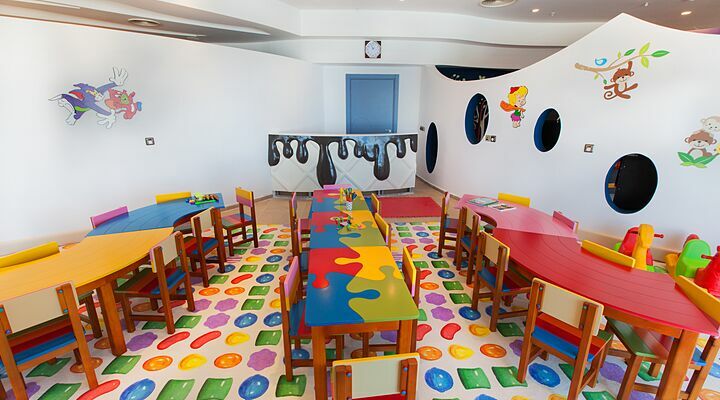 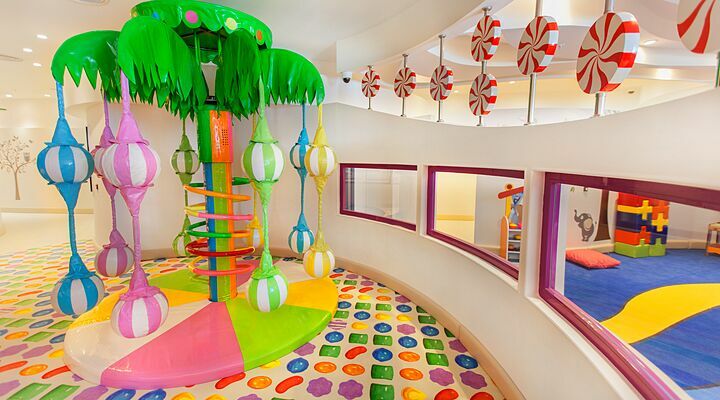 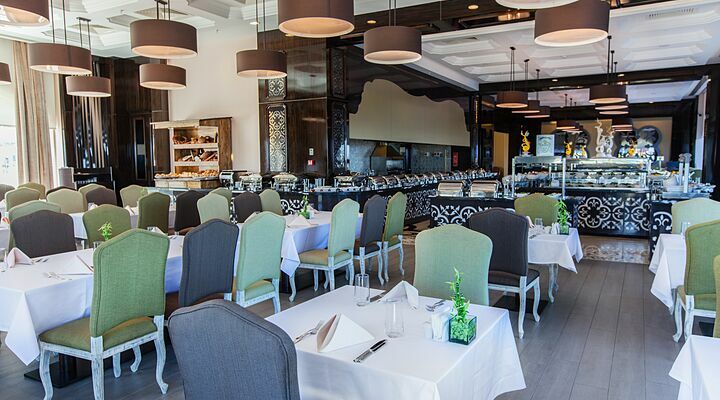 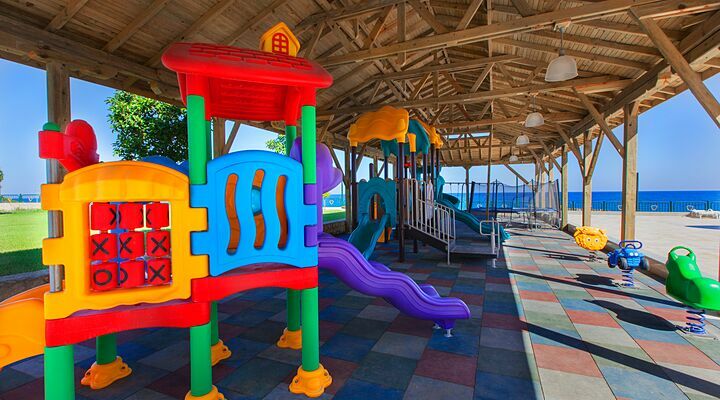 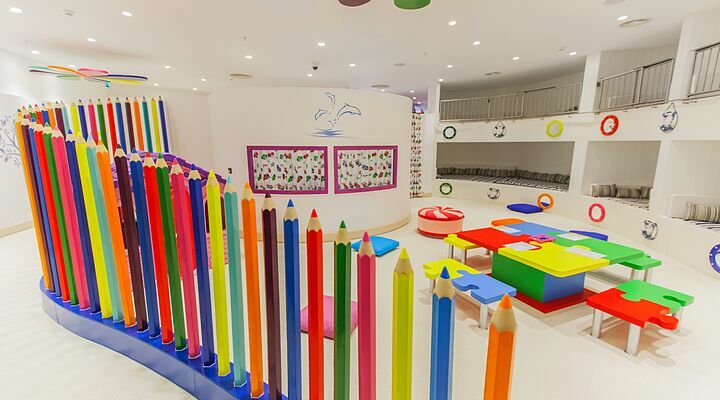 The Merit Premium’s kids club will keep little ones entertained for hours. 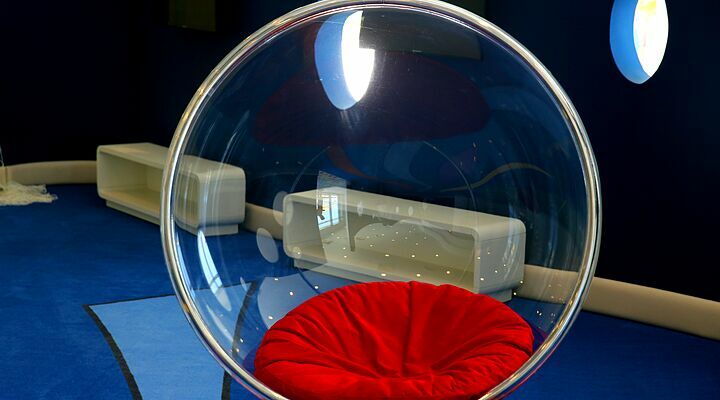 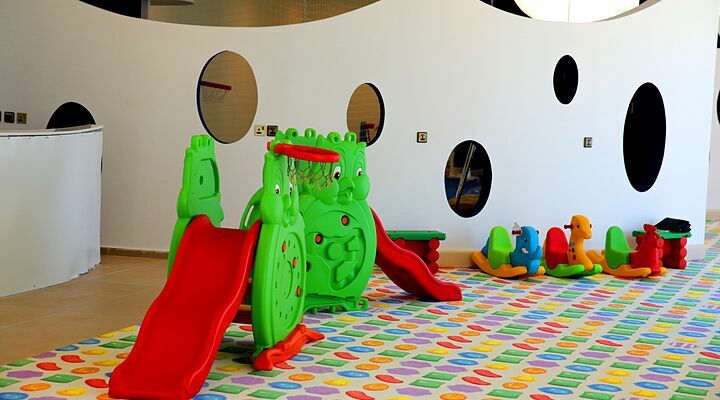 The cool indoor play area includes inflatables, sit-on toys, a ball pit, mini football pitch, plus comfortable rest areas for storytelling and chilling out. 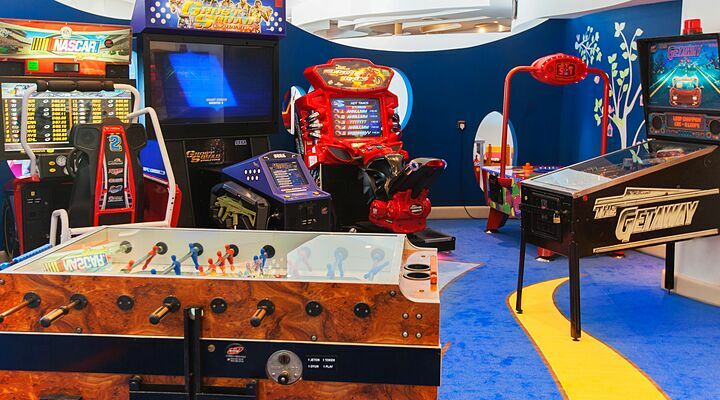 Add in games consoles, art classes, arcade games and a shaded outside play area, and you’ll see why this is so popular with children and parents alike. 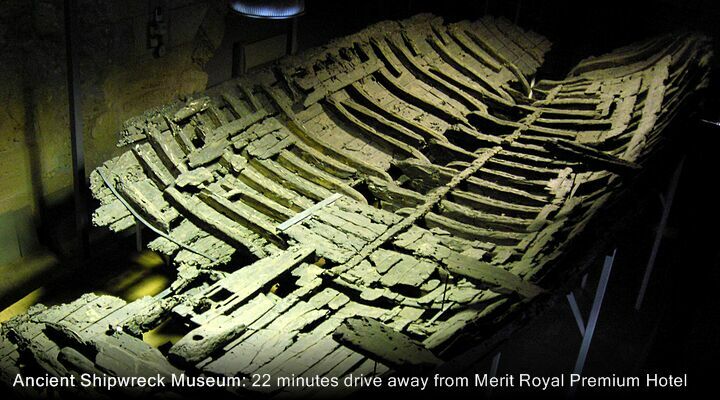 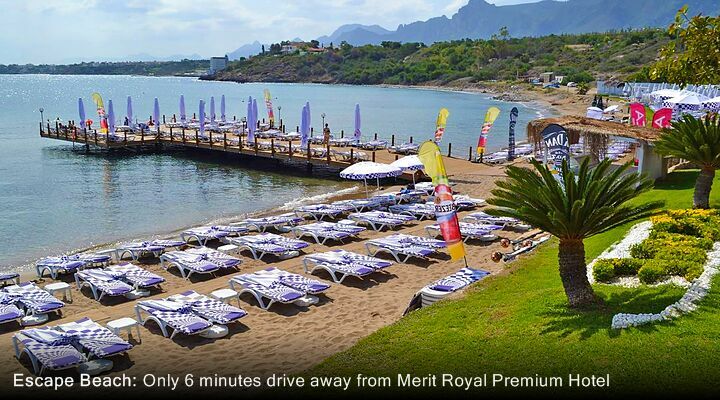 Merit Royal Premium or Merit Royal? 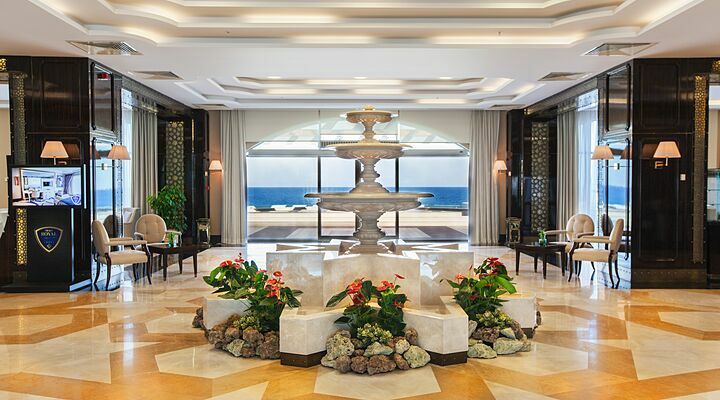 It’s easy to get the two hotels confused, especially as they share a stretch of coastline and the gardens flow seamlessly run from one to the other. 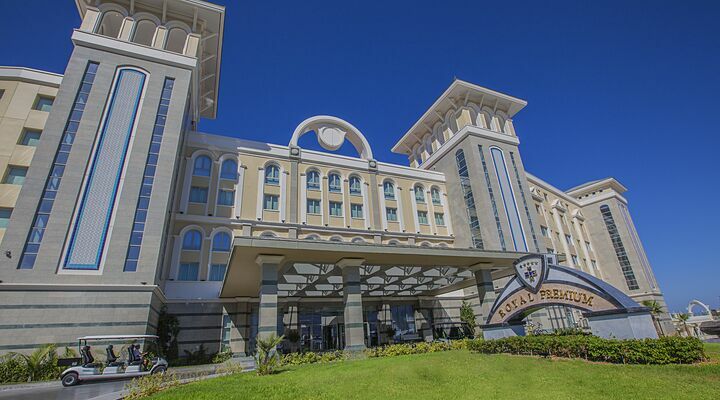 The Merit Royal is an adult only hotel, with a ‘no children under 15’ policy. 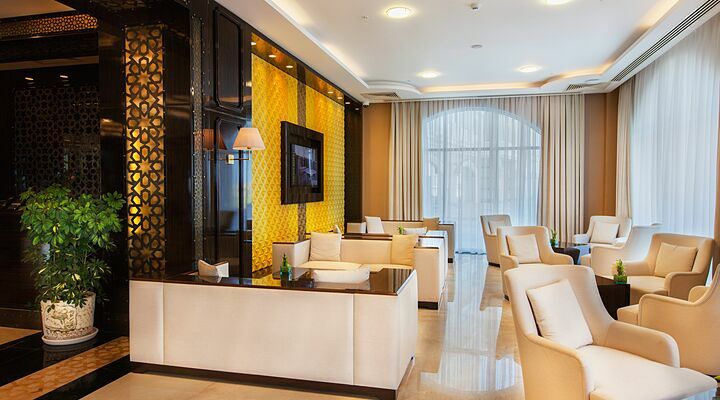 It's both opulent and elegant. 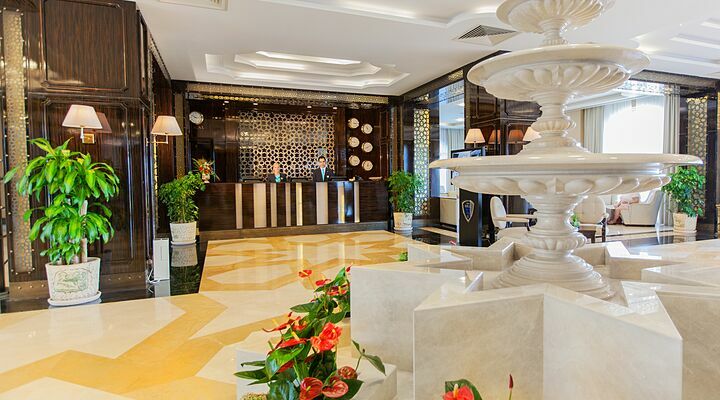 The Merit Royal Premium is larger, more 'toned down' in decor than the Royal, and is very family-friendly without compromising on exceptional service standards. 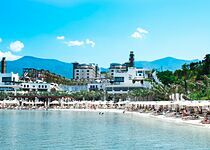 Fly to North Cyprus with Go North Cyprus from any of our selected UK London or regional airports, and a private taxi transfer will be included in your holiday price. 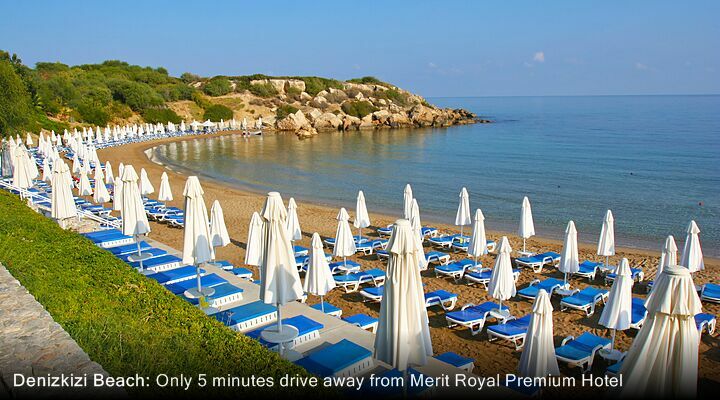 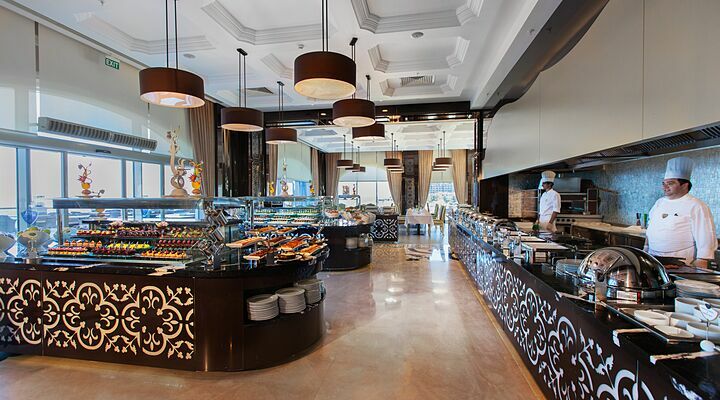 So you can arrive relaxed and ready to enjoy your North Cyprus 5 star holiday at the Merit Premium.